Today, we announced UNT’s largest-ever gift of $30 million – from alumnus G. Brint Ryan (‘88, ’88 M.S.) and his wife Amanda – to create the G. Brint Ryan College of Business. 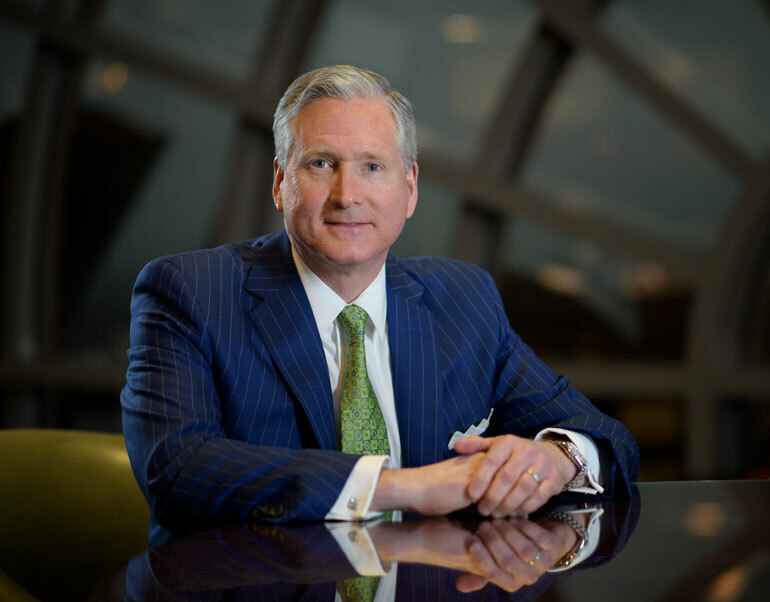 Brint has long supported and served UNT through leadership positions with College of Business advisory boards and the Pi Kappa Alpha fraternity, and as chairman of the UNT System Board of Regents. Read more about the gift announcement in the press release.